“The book itself is a curious artifact, not showy in its technology but complex and extremely efficient: a really neat little device, compact, often very pleasant to look at and handle, that can last decades, even centuries. It doesn't have to be plugged in, activated, or performed by a machine; all it needs is light, a human eye, and a human mind. It is not one of a kind, and it is not ephemeral. It lasts. It is reliable. If a book told you something when you were fifteen, it will tell it to you again when you're fifty, though you may understand it so differently that it seems you're reading a whole new book." - Ursula Le Guin, “Staying Awake: Notes on the alleged decline of reading,” Harper’s Magazine, February 2008. “You can find something in her writing for any kind of flavor you are looking for,” Le Guin’s longtime agent Ginger Clark explains about the great twentieth-century American author. Le Guin passed away last January at the age of 88, and her books remain desirable from a collecting standpoint, with plenty of opportunities for most fans to build solid collections. Part of Le Guin’s legacy was “an improvement in the actual style of writing” of science fiction and fantasy. “She really cared about the actual craft of writing,” Clark says. “She paid attention in a way that previous [science fiction/fantasy] authors had not done.” Moreover, she was committed to teaching others about writing: “She was a great teacher of writing in addition to being a writer herself. This was someone who did not retreat to her office and not share what she learned with other writers; she mentored a lot of people. She was dedicated to opening the field to diverse voices and getting a variety of takes on what it means to be human,” said Clark, who believes her works remain relevant in current conversations about gender, sexuality, society and the economy. Though perhaps most widely recognized for her science fiction and fantasy, Le Guin also wrote poetry, nonfiction essays, picture books, and even a screenplay. In fact, the author’s oeuvre is so vast that the Oregon native was declared a living legend by the Library of Congress in 2002. Such an extensive literary catalog also makes Le Guin attractive to rare book collectors who feel confident she won’t be forgotten anytime soon. “She’s required reading in schools. I think the canon is going to be secure,” says Matthew Raptis of Raptis Rare Books. Prices for Le Guin’s books range, primarily based on scarcity. For example, Raptis is offering a first-edition, first printing set of the five-volume Wizard of Earthsea for $12,500. 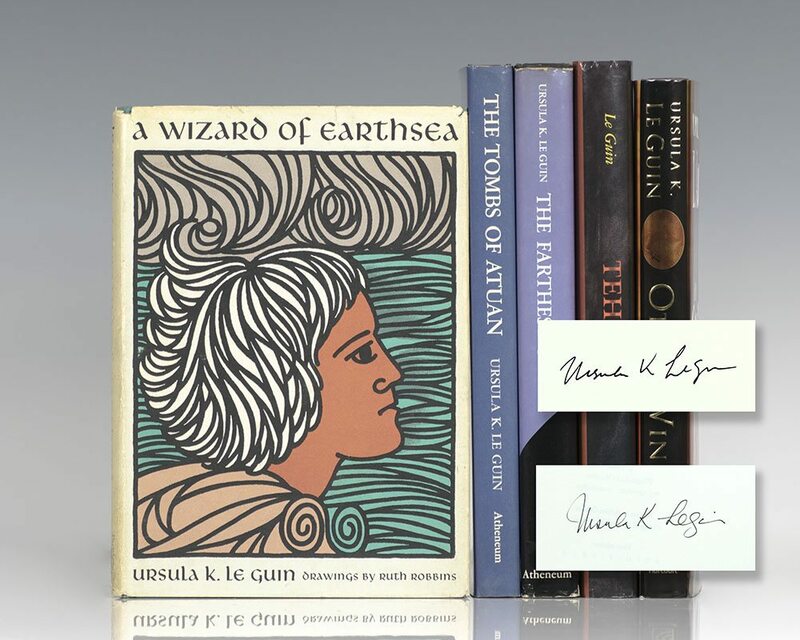 While many of Le Guin’s lesser-known works are available—some even signed—starting at around $50. Meanwhile, James Gannon of Heritage Auctions has sold various collections of Le Guin’s books over the years and seen prices decrease—not unusual for science fiction authors in general. “A lot of science fiction and fantasy books aren't substantially valuable, especially those published in the 1950s and after.” Gannon includes The Wizard of Earthsea, The Dispossessed and The Left Hand in Darkness in his assessment except when dealing with exceptional copies. Elisa Shoenberger is a researcher and writer. She has published articles and essays at the Boston Globe, the Rumpus, Electric Lit, Chicago Reader and other outlets. 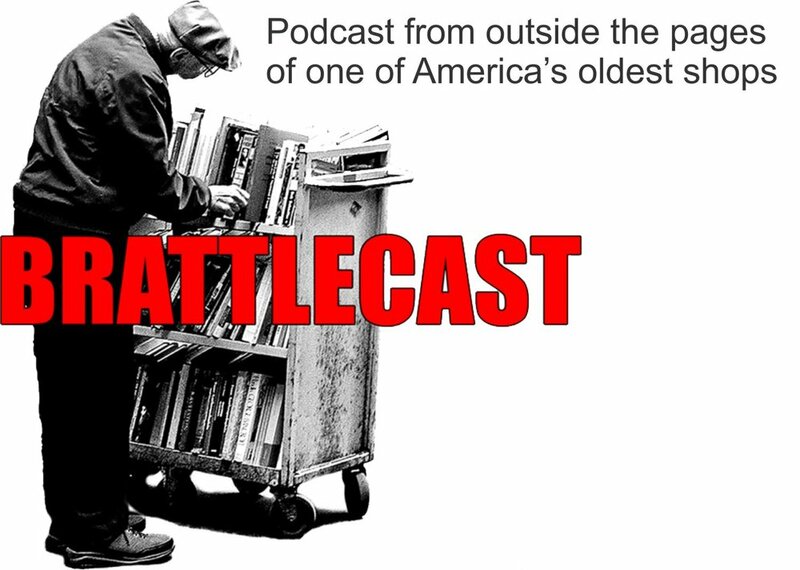 She is a regular contributor to Book Riot and is the co-editor and co-founder of The Antelope: A Journal of Oral History and Mayhem﻿.